Dollywood has announced that Rodolph the Red Nose Reindeer is back for another season of family fun at their award winning Christmas event Dollywood’s Smoky Mountain Christmas. Rodolph was a meet and greet character last year where guests of all ages could meet Santa’s famous friend. Furthermore Dollywood announced that it is the final season of their technological masterpiece of a show Dollywood’s A Christmas Carol. This show features a holographic Dolly Parton to star among its cast. You can read more in the press release below. PIGEON FORGE, Tenn. (November 4, 2015) — Rudolph the Red-Nosed Reindeer leads Santa’s sleigh back to Pigeon Forge for Dollywood’s Smoky Mountain Christmas presented by Humana (Nov. 7 – Jan. 3). Rudolph and his special friends enjoyed visiting Dollywood guests so much last year that they’ve decided to pack up all of the fun from the North Pole and bring it to Dollywood for this year’s festival! Throw in the park’s four million dazzling lights, award-winning entertainment and delicious food options and it is easy to understand why Dollywood earned this year’s Amusement Today Golden Ticket Award for Best Christmas Event, its eighth consecutive honor. In fact, Dollywood is the only theme park in the world to ever win the award. Rudolph The Red-Nosed Reindeer, the beloved Christmas television special, comes to life at Dollywood this season. Guests can meet Rudolph and his friends, including Clarice, Bumble the Abominable Snow Monster and Yukon Cornelius in Rudolph’s Holly Jolly ™ Junction, a magical area where festive fun awaits. After meeting Rudolph and his friends, families can head to Clarice’s kitchen to decorate custom Christmas cookies or even take part in a few reindeer games! With a number of family-favorite shows throughout Dollywood, entertainment certainly takes center stage during Smoky Mountain Christmas. The groundbreaking Dollywood’s A Christmas Carol returns to for its final season in 2015. The show uses holographic technology to bring Dolly Parton to the stage as the Ghost of Christmas Past. The lifelike appearance of Parton and the other holograms featured in the show leave amazed audiences mesmerized. This heartwarming tale about the transformation of Ebenezer Scrooge features a 16-member cast, fully orchestrated musical tracks and period costuming. 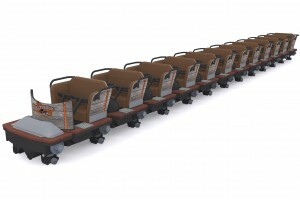 Dollywood’s entertainment, which in 2015 earned its seventh consecutive Golden Ticket Award for Best Shows, features several other beloved shows this season, including Christmas in the Smokies, An Appalachian Christmas, ‘Twas the Night Before Christmas, O’ Holy Night, and Christmas with The Kingdom Heirs. Guests also can experience the nightly Parade of Lights, a festive procession of larger-than-life toys and characters, as well as Santa’s Workshop, where the smallest guests can share their wish list with Kris Kringle. Families can finish their visit with a traditional Christmas meal as several of Dollywood’s menus feature holiday-themed items. Among the favorites are turkey and dressing, hot flavored drinks like hot chocolate and wassail, and much more. Holiday desserts available throughout the park include pumpkin pies, pumpkin rolls, pumpkin spice funnel cakes and a make-your-own s’mores pit. Smoky Mountain Christmas guests can upgrade a paid one-day admission ticket to a regular 2016 season pass for as low as $28 (plus tax when buying four or more). Ticket purchasers receive credit for the value of a regular one-day ticket ($62) toward the purchase of a 2016 season pass. A season pass purchased during Smoky Mountain Christmas provides unlimited admission to this year’s Christmas festival along with Dollywood’s entire 2016 season. (A one-day ticket is valid for upgrade on the day of visit only.) Also, guests who purchase a Dollywood one-day ticket after 6 p.m. receive free admission to the park’s next operating day. Knott’s Berry Farm’s Ghost Town will celebrate its 75th anniversary with two major offerings next summer. The centerpiece of the summer 2016 celebration is the interactive entertainment experience, Ghost Town Alive!, which immerses guests in new stories and adventures in the familiar town of Calico. 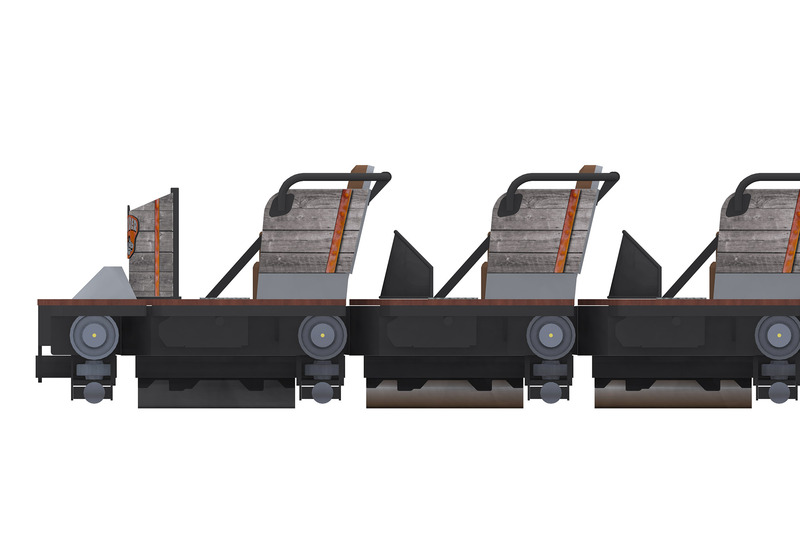 The west is about to get even wilder when GhostRider returns from a major restoration project with all new trains that will gallop along over 4,500 feet of new wooden track. Construction is underway on a new Calico Stage, which will open across the train tracks from its current location, in the area Screamin’ Swing formerly occupied. 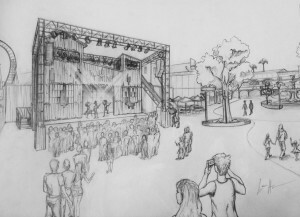 The stage, themed after an old abandoned mine, will feature an all-new show for summer 2016. 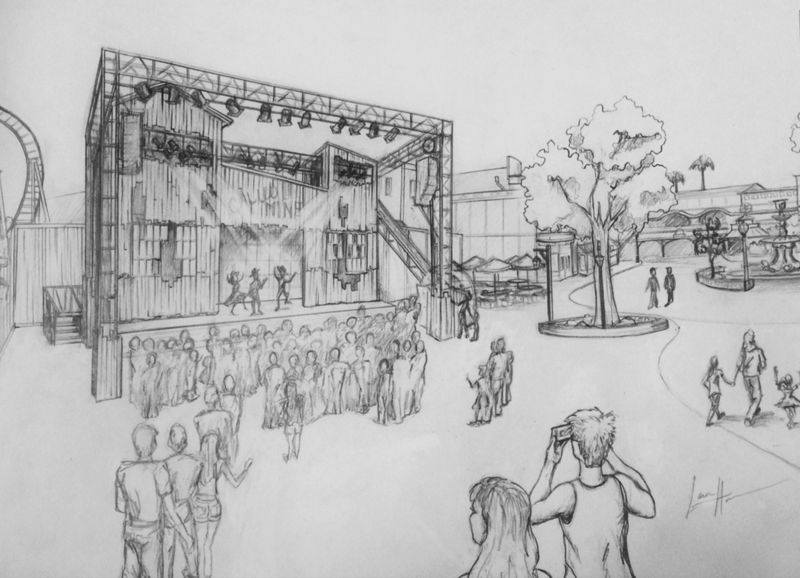 The standing viewing area for the new stage is nearly twice as large as the current viewing area, ensuring even more guests can enjoy seasonal live entertainment. The new venue is scheduled to open in Spring of 2016. When the new Calico Stage opens, the space that the existing stage and viewing area currently occupy will become Calico Park. Here, guests will enjoy a shady respite from the hustle and bustle of the Town, with a small stage for live performances, and twinkling lights adorning the trees after the sun sets. Calico Park is set to open in Summer 2016. Adjacent to Calico Park stands the iconic Calico Saloon, which will feature a raucous new show next summer. A new western stunt show in Wagon Camp will also debut in summer 2016. Both the Calico Saloon and Wagon Camp will close in early 2016 in for renovations and new show preparations. Ghost Town Alive! 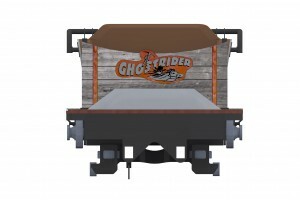 will take interactive storytelling to new heights when it debuts next summer, and for guests really seeking to achieve some heights, they should look no further than to the return of the beloved classic wooden roller coaster, GhostRider. 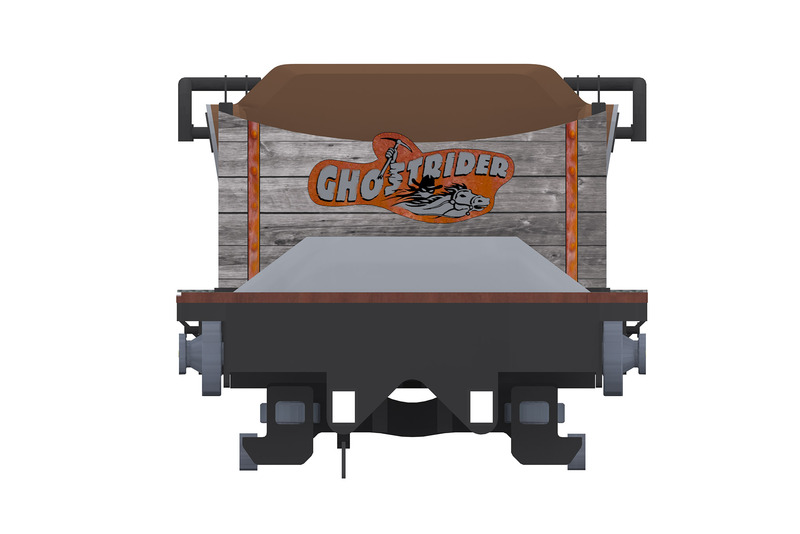 Since 1998, GhostRider has been giving white-knuckle rides to even the toughest cowpokes. It still looms over Ghost Town as the longest, fastest and tallest wooden rollercoaster on the West Coast.In September 2015, work began to completely restore and preserve this classic wooden rollercoaster. 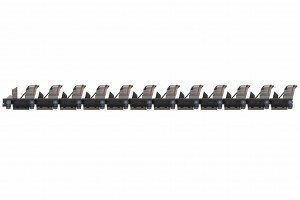 The project is a partnership with Great Coasters International and includes re-profiling and a complete woodennre-tracking of the entire 4,533 ft. long track. All of the coasters trains will be replaced with state of the art new Millennium Flyer trains designed to look like mining cars, each with gold, silver, or copper accents. 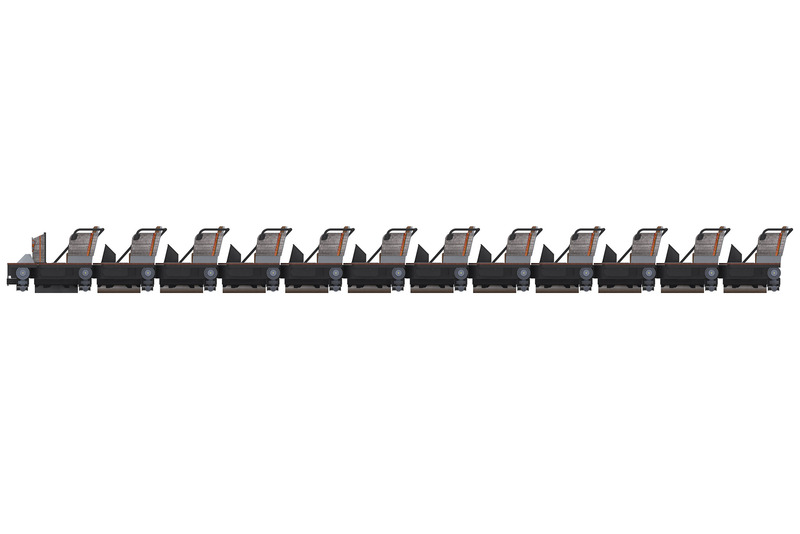 As part of the construction, the mid-course brake run will be removed, allowing riders to enjoy a relentless, ride from the moment the train descends the first 108 ft. drop to the moment it returns to the station’s new, smooth magnetic brake run. 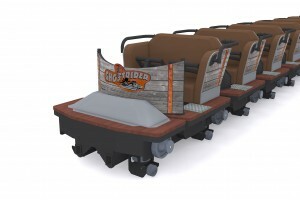 “GhostRider was the last attraction commissioned by the Knott family, and this restoration project ensures that the family’s final gift to the park will continue to thrill generations of thrill seekers to come,” said Raffi Kaprelyan, Knott’s Berry Farm’s vice president and general manager. “Seventy five years ago, Walter and Cordelia Knott created a place where guests could live out their dreams of the Wild West, and I think they’d be very proud of how it continues to resonate with guests of a new generation.”When GhostRider re-opens, the queue will snake past Panning for Gold, which returns to its original Ghost Town home next summer. The return to its former location will allow for a more spacious panning experience, which means a more comfortable experience and better photo ops to capture the moment when a loved one strikes it rich! In 1940, Walter Knott looked for a way to entertain and educate hungry guests waiting for hours to dine at the iconic Mrs. Knott’s Chicken Dinner Restaurant. Ghost Town was born from Walter’s passion for providing restaurant patrons with unique entertainment and fondness for Wild West. The area celebrates the California-bound pioneers that crossed the desert by covered wagon, just as Walter’s family had back in 1868. Brick by brick, building by building, the old west town of Calico came to life in 1941 and has been visited by millions for the past 75 years. While reflecting on Ghost Town in a letter written in December 1954, Walter Knott wrote, “I [am] very proud of this place we have built. You know we never fully enjoy the things we love until we share them with those we love.”Next summer, Knott’s invites families to share in Ghost Town’s anniversary celebration with the ones they love, and make new memories in the old west.